Kristyn is a visual artist and community art educator with a passion for working with students of all ages and abilities. She holds a BA in Art History from Florida International University and pursued graduate studies in Art Education at the University of Florida. Her teaching background includes experience as a K-12 art teacher in public schools, museum educator, summer camp counselor, artist in residence, graduate teaching assistant and community workshop facilitator. 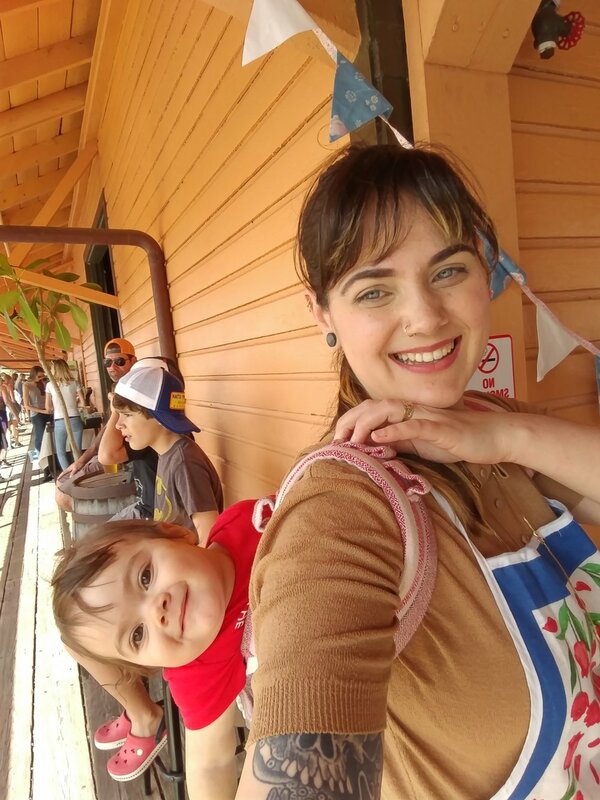 When she has the opportunity for a moment away from her full time gig as a mama, she also tattoos at Death or Glory Tattoo Parlour and enjoys watercolor painting, collage and sewing. Brynna is an art advocate, experienced craftsperson, and aspiring educator with a BFA in Art History from the University of Florida. She currently works as an assistant in the art gallery at Santa Fe College. She loves working with artists of all ages, and enjoys drawing, creating digital artwork, sewing, calligraphy, and children's book illustration. Sign up with your email address to receive news and updates, including class and event announcements.